I love Lido Key Beach! It’s my absolute favorite beach in SWFL!!! I like that it has a large parking lot and that the beach isn’t very wide so you don’t have a long walk to reach the water like other beaches in the area. The concession stand is known for their Sunday lobster rolls, but I also love the tuna wraps, the chicken salad on grilled sourdough bread and the cheese burgers!!! All the food is really good and affordable! There’s also restrooms, a gift shop, a swimming pool and picnic tables. On the beach you can feel safe with Lifeguards on duty 7 days a week year round 10am-4:45pm daily. 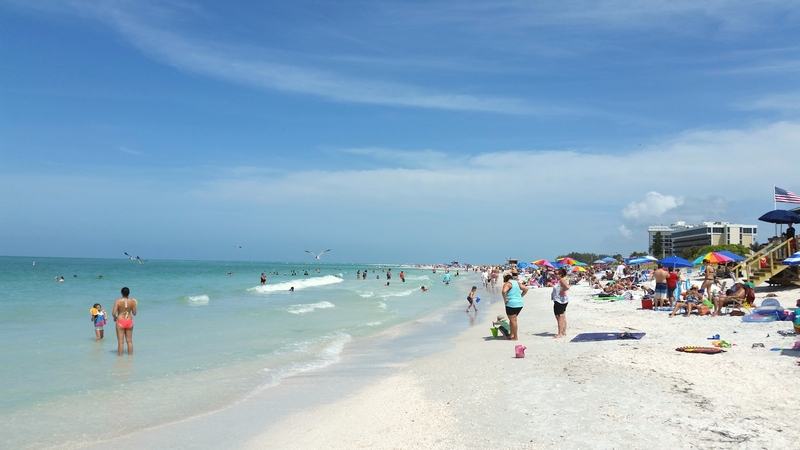 With more than 3,000 ft of white sand and shells, Lido Beach is located on Lido Key by St. Armand’s Circle and is a great beach in a great location! Check it out!